YUPNYC: Movement: What Do You Really Really Want For Girls And Women? The Global Goals’ feminist campaign tapped into everyone’s favorite 90’s girl-power group to make noise and spread female empowerment worldwide. 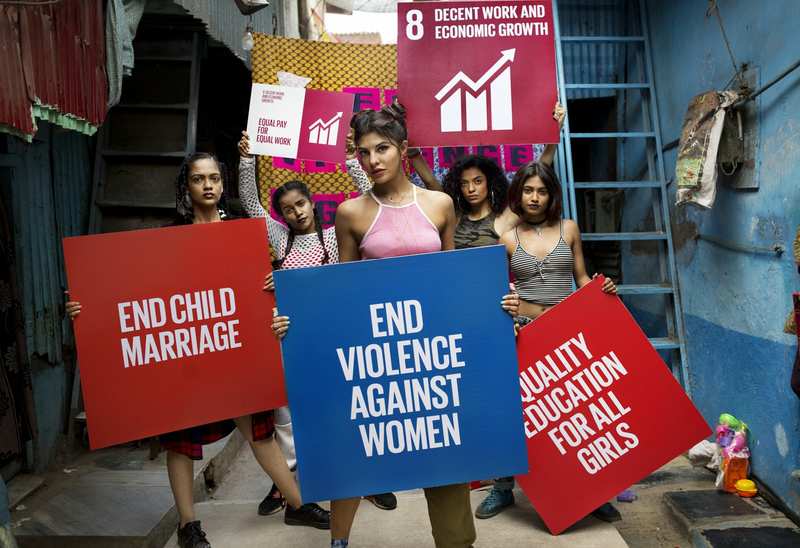 Recreating Spice Girl’s “Wannabe," the campaign serves as a message to World Leaders and the Secretary General of the United Nations to acknowledge and tackle the inequalities that girls and women face on a daily basis. The campaign calls on your help to continue to make noise and get your message out there by sharing #WhatIReallyReallyWant on social media, and the visual response from around the world will then be presented to world leaders at the UN General Assembly in September. Learn more, show support, and join the movement here! For that we will always wait for the other sites this morning . Excellent blog, I just amazed to see your ideas and your thoughts. Thanks for share tha. Thank you so much admin is already providing the information to us and here we are sorry permission to share your article may be useful. This is the most important and necessary Information for our future , We all have to focus on this all topic which is share in this post about child marriage and more, We need to change our mind.